CIRCA 1918 - Men of the 319th Field Signal Battalion repair telegraph wires after a barracks fire in Souilly. hd00:301960s: UNITED STATES: man speaks to camera. AMES researcher in laboratory. Professor wipes chalk from blackboard. Chemist in lab. 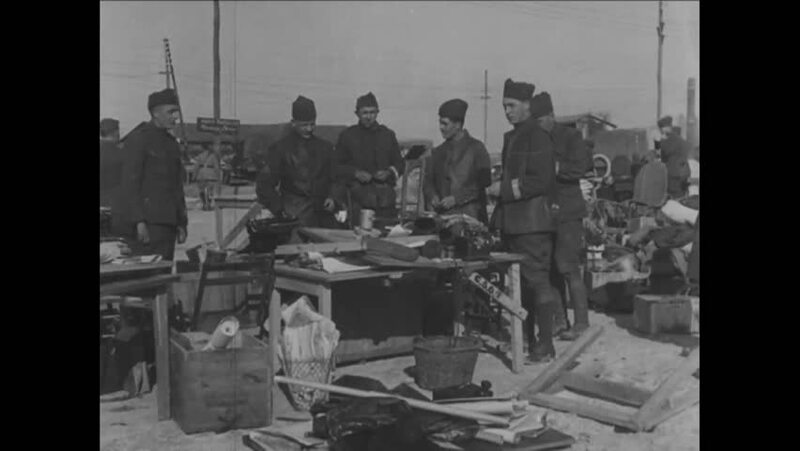 hd01:44CIRCA 1910s - Food and supplies are transferred from the USS Poe to the USS Warrington. hd00:49CIRCA 1920s - Iron is extracted in a mine in the Lake Superior district in 1922.
hd00:33CIRCA 1950- A union volunteer and a woman visit a daycare center in Chester, Pennsylvania, and the woman leaves her child behind.